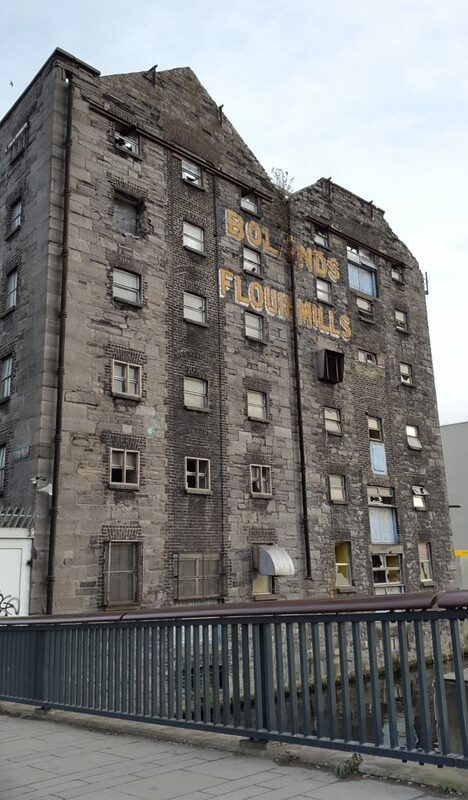 Thanks to a very kind (and deliberately slow) taxi driver, I managed to get some shots of Boland’s Mill as we passed by (this one taken as the mill receded into the distance). 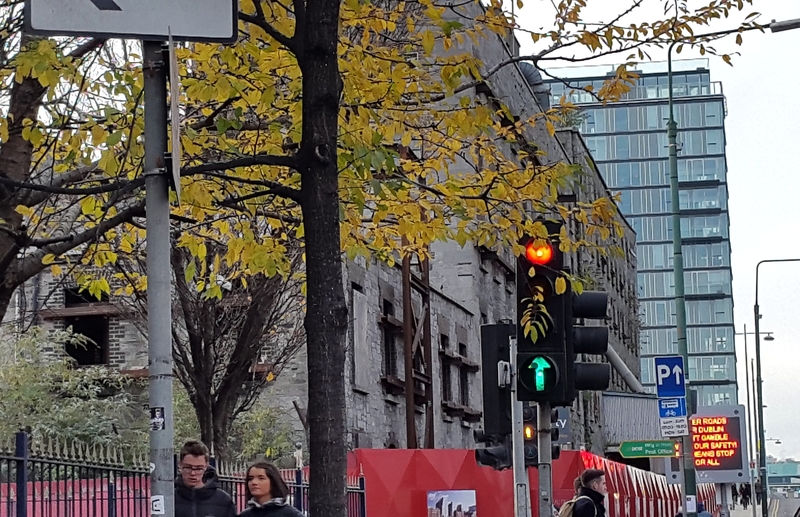 At the start of the Rising the mill and the surrounding buildings were occupied by about 150 men (some sources suggest less) of Éamon de Valera’s 3rd Volunteer Battalion, its position on Grand Canal Dock making it a key location as it overlooked not only the canal, but the railway line between the city and Kingstown, where British reinforcements would doubtless be arriving (and indeed, by Wednesday, as we have seen, they did). 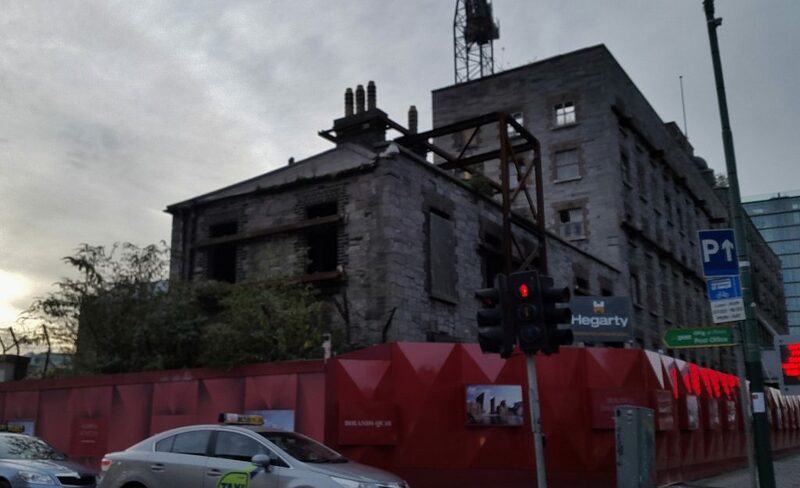 Boland’s Mill would serve as de Valera’s battalion headquarters during the Rising, his men establishing other positions outside Beggars Bush Barracks, at Mount Street Bridge, and elsewhere among the slum tenements and middle-class residences in the vicinity. 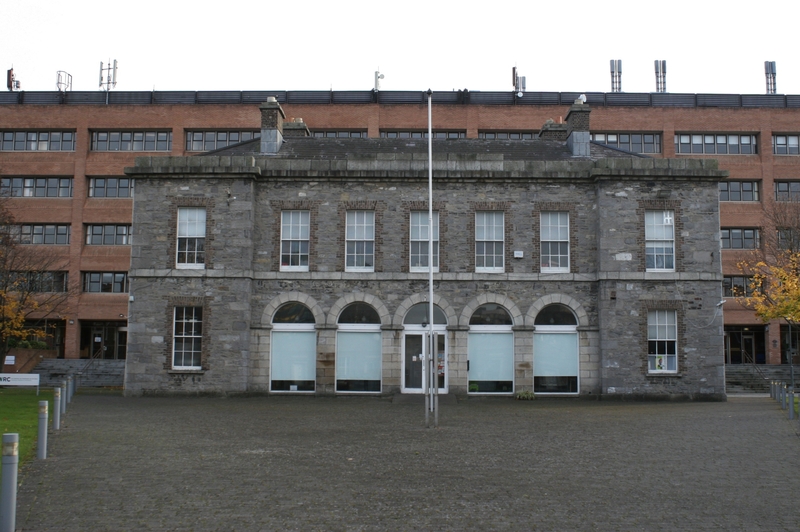 Despite the intense fighting a few hundred yards south west at Mount Street Bridge, there were no direct assaults on Boland’s Mill itself until Thursday 27th April, when the British began shelling the building with a one-pounder gun taken from the HMY Helga that had shelled Liberty Hall the previous day, and later with artillery brought from Trinity College. 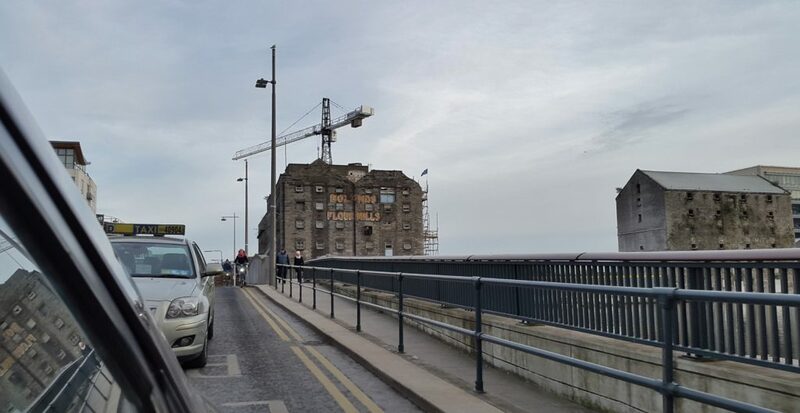 De Valera sent Captain Michael Cullen and a group of men to raise a flag on top of a tall water tower standing nearby, in order to attract the British gunners; the ruse worked, nearly too well, as the tower was hit, rupturing the water tank and nearly drowning the rebel defenders, but Boland’s Mill itself was safe for the moment. 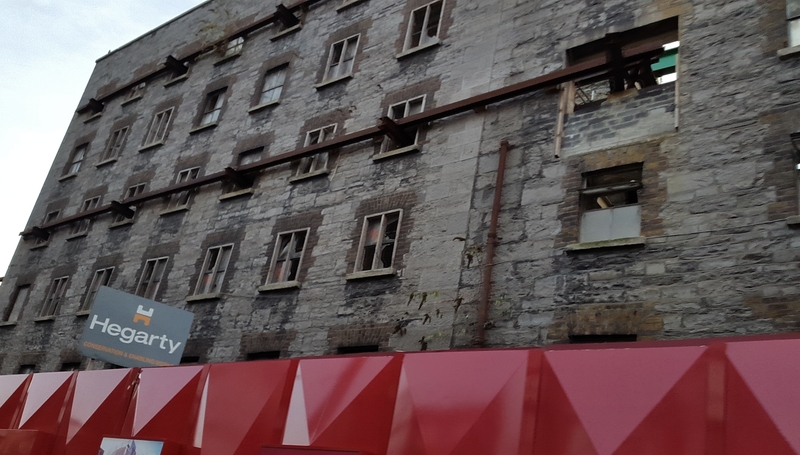 Conditions for the Volunteers in the mill, as the days went by, became worse and worse, one Volunteer going berserk, killing one of his officers before being shot dead himself. The garrison held out until Sunday 30th, when Nurse Elizabeth O’Farrell brought news of Pearse’s surrender. After the Rising, questions were asked in rebel circles about de Valera’s command of the Boland’s Mill garrison. As we saw last post, he failed to send reinforcements to help the men fighting the Sherwood Foresters at Clanwilliam House and he was accused of issuing contradictory and indeed bizarre orders during the final days of the Rising – including evacuating the mill, except there was nowhere else to go, and the men who had left soon had no choice but to return. 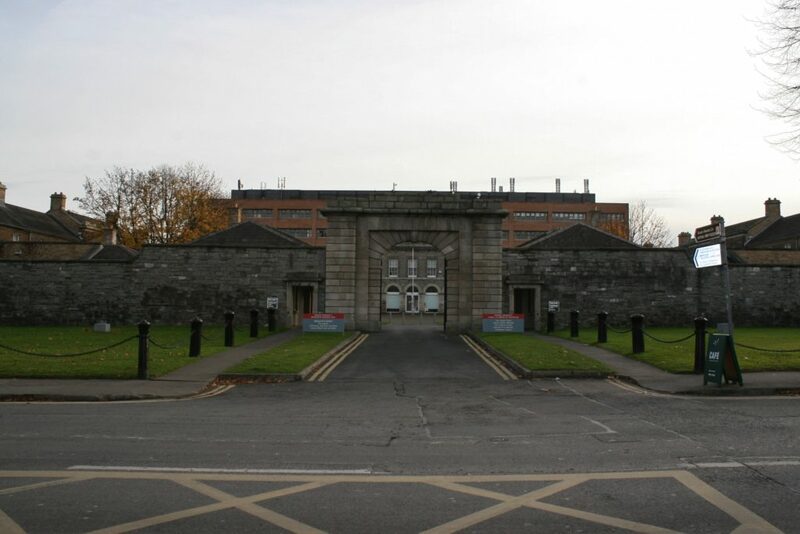 Not far from the mill, this is Beggars Bush Barracks, built in 1827, and a missed opportunity for de Valera’s men on the first day of the Rising. Although he sent men to watch the barracks, as mentioned earlier, and some of his men had encountered a large group of Volunteer Training Corps* making their way to the barracks, killing four of them, had he known the exact compliment of the troops within, he might have considered a bolder move. *The Volunteer Training Corps was a voluntary home defence militia in the United Kingdom during the Great War, and this was the only instance that they actually saw action. They were ambushed close to the barracks, the remainder finding their way inside, spending the rest of the week assisting the garrison to hold the barracks, for which the garrison were, I’m sure, eternally grateful. In total five members of the battalion were killed, and seven wounded, during the week of the Rising. Because on that Monday, the barracks were defended by the Army Catering Staff, with just seventeen rifles between them. As I said, another missed opportunity, although the Volunteers did manage to keep the barracks’ defenders pinned down within its walls for the duration of the week. The pub was here at the time, and I’m glad it still is. 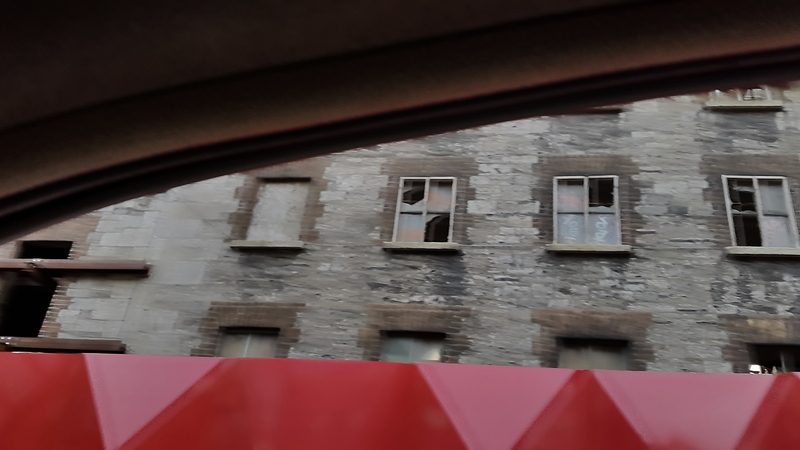 I believe that until it was renovated in 1988, holes from stray bullets from the Northumberland Road fighting just down the street were still visible on one of the walls. Enough chatting. 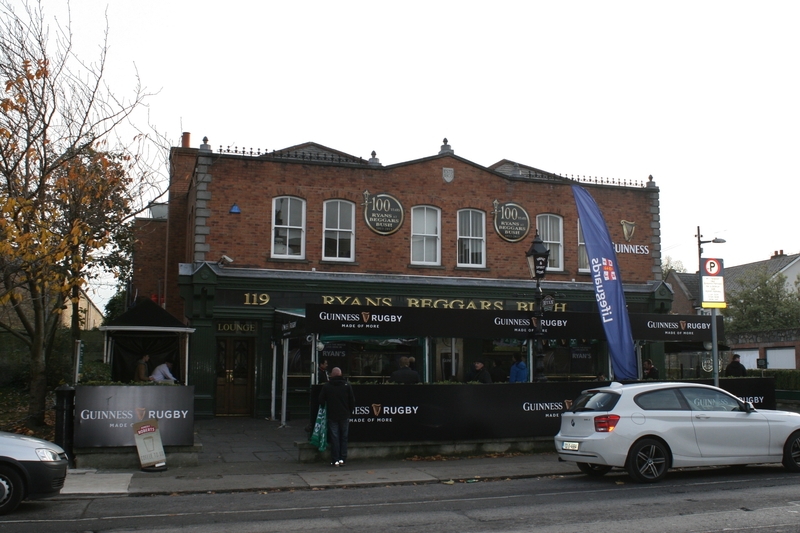 Time for a pint. 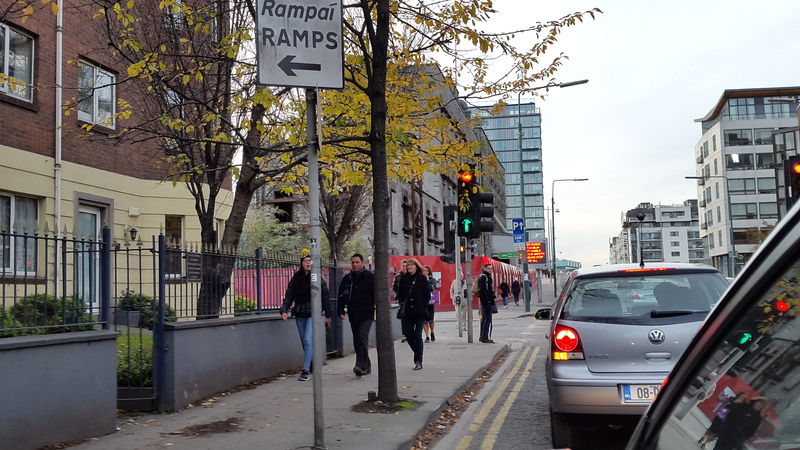 After that: Moore Street. Just had a look at your photographs regarding the Easter Rising 1916 on your recent visit to Dublin. Your photography is very professional and your accompanying narrative is superb. Your knowledge of events and attention to detail is just second to none. If there was an award for this you would win hands down. Declan, my friend! You are too kind! See, I told you it was good! Only kidding. Seriously, I do appreciate your kind words. I had a fabulous time and I’m glad you’ve now read the narrative that accompanies the photos (despite my malfunctioning camera, if you remember) I took that day, because I know there were some places we visited that you hadn’t been to before, so hopefully with the narrative it all makes sense now. 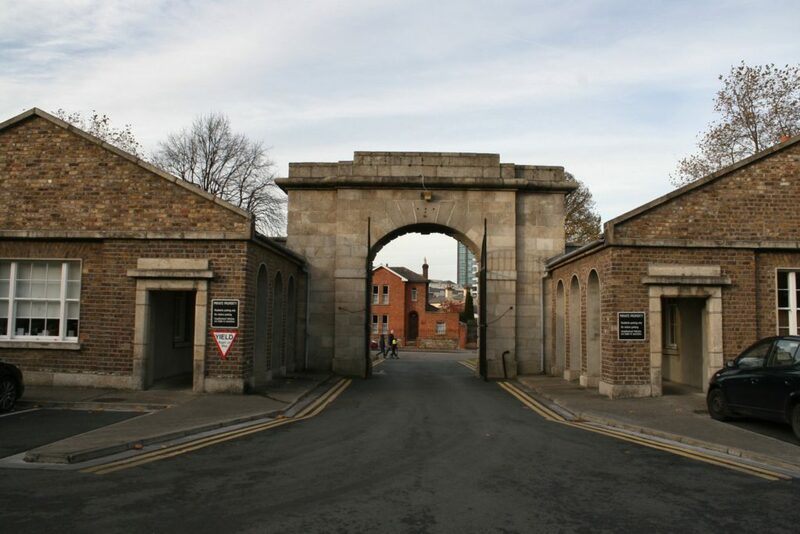 Do check out the Arbour Hill Cemetery post – you’re in it. All the best. Well hello Fionnuala. First of all thanks for taking the time to comment. Ever so glad you stumbled last night. Unfortunately, or maybe not, for you, you’ve got seven years, give or take a few days, of stuff to catch up with!! Anything and everything gets updated here when appropriate, so the stuff from 2011 is still as relevant as it was then. Hopefully. My next Dublin trip, by the way, is already arranged for next spring – there are still one or two places to photograph and stories to tell, not least Kilmainham Gaol, which I have yet to visit. I think the Rising was an integral part not just of the struggle for independence, but also of the Great War itself, for reasons I talk about on the site. Seriously amazing that your Grandfather fought at the Mill! Wow! Any anecdotes survive?? Anyway, currently we have embarked on a Tour of the Boesinghe area north of Ieper, which will comprise twenty something posts, but other stuff gets posted too when I feel like it! As you can see if you look at the home page. Once again, thanks ever so much for commenting and for your kind words. If you now scroll to the bottom of this very page, you will see a box with ‘Notify me of new posts by email’ next to it. Tick the box, and you’ll get an email whenever I publish a new post (next one probably this very eve). And be one of the gang (there’s a fair few now)! The only ‘anecdote’ I have is a copy of the sign in sheet from Bolands Mill with my grandfathet’s signature on it. I can post it here if you would like me too. It was downloaded from a post from a Facebook group for relations of the Bolands Mill Garrison. If/when you join the group then I will automatically have your email address. If you then allow me, I will mail you and you can send me the sheet. I would be absolutely delighted to post it here, with credit, of course. New post published, by the way.